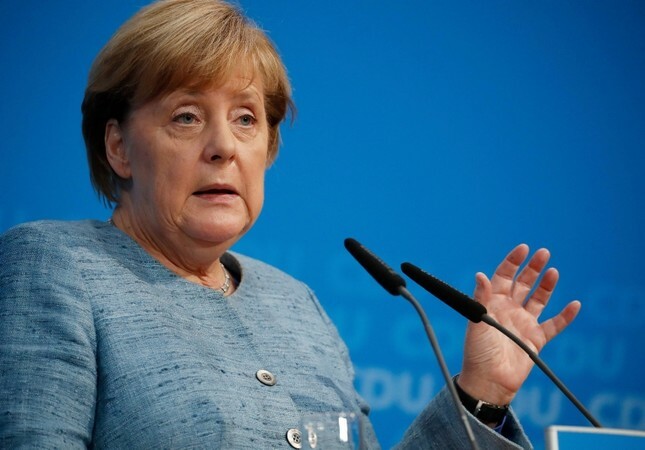 Chancellor Angela Merkel said late Sunday that Germany can no longer sell arms to Saudi Arabia after journalist Jamal Khashoggi was brutally killed in the kingdom's Istanbul consulate. "First, we condemn this act in the strongest terms," she said. "Second, there is an urgent need to clarify what happened - we are far from this having been cleared up and those responsible held to account ... As far as arms exports are concerned, those can't take place in the current circumstances." The Khashoggi case has opened a serious new rift with European partners Britain, France and Germany saying in a joint statement earlier that Saudi Arabia must clarify how Khashoggi died inside its Istanbul consulate, and its account must "be backed by facts to be considered credible." On Saturday, after weeks of denying any involvement in Khashoggi's disappearance, Saudi Arabia said the 59-year-old died in a fistfight at the consulate. But it has faced a growing chorus of incredulity over its belated explanation that he died in a "brawl," as world powers demand answers and the whereabouts of his body.